When people hear I have 5 teenagers, the first thing they usually do is get this sort of “deer in the headlights” look. Then they say, “bless your heart”, which is kind of endearing but also terrifying because I wonder what they know that I don’t. I won’t pretend it’s easy. It’s actually not most of the time. But they are good kids, they make life interesting. The other thing I get asked a lot is how do I manage a household of 7, especially with 5 teenagers, in addition to writing several blogs, maintaining a couple of websites for others, tech support and all the other crazy stuff I do. I won’t pretend that it is easy either. I will also tell you, that it took me from 2006 to 2011 to get organized enough and figure out a system that works for me. And here’s the deal with that. My system, might not work for you. But it might. It has worked beautifully for me for the past 2 years, and I’m still going strong. I’m going to start sharing a glimpse into my blog organization methods more regularly here on my blog so maybe my systems can help someone else. I know I still eat up posts about how other people stay organized even if that area in my life is already organized. It’s an ever evolving process anyway. Let me tell you I am a list maker. I am a note jotter. I love notebooks. I love clean paper and fresh pens. So after many attempts at blog organization I knew that somehow my love for all of those things, had to tie into keeping my blog organized. And it did. Finally. I have about 20 active/in-use notebooks in a Large Thirty One Utility tote (updated, I added the link to the item due to a request) that my mother got me for my birthday last year. I used to keep them all on a bookshelf near my work area, but the tote works better. It’s closer to me and it can actually be moved whenever I need it to. Plus it holds a lot more besides just 20 notebooks. This is also important. I’ve got computer connector cords in there, file folders, markers and pens, at least two binders and much more. It’s kinda of like a catch all of my work stuff. It really does work for me, though, because I know where to find everything. Here’s how I keep my blog organized. This is just a small sampling of my more blog specific notebooks. There are a few missing blog related ones, such as my notes for Crazed Mom (which are few and far between anyway), another one for my daughter’s site, Brie’s Bites and then three others I have for Sunday Supper, Isabel’s website and Forums and the newest addition – one for the convention we are planning/hosting this summer. Here’s a quick rundown of each of those notebooks shown above and what goes in them, just to give you an idea. 1. Triberr/AllTriberr – I do tech support at Triberr. When I need to get more information or I need to check on something – it goes in here. I also run and operate AllTriberr. I often have information I need to jot down or ideas for posts or things to implement or walk through ideas. This all goes in this notebook. 2. PR/Marketing and Advertising – This holds information about the ad networks I use, methods I have tried, what has worked – stats on that, and places I need to contact or that have contacted me. If I have a contract obligation, typically the notes are in here with any emails I needed to print. 3. Writing Assignments – I am still a freelance writer, though I don’t do it as much as before. This contains any writing assignments I have coming due, what is expected, contact information and notes & research. 4. Brands/Publications – Working with brands and publications required me to get organized more efficiently. I went through two notebooks in 2012, and I’ve just started my second one for 2013 already – guess this year will be more. This notebook is very organized, tabbed and contains thorough information about the brands and about what’s expected from each individual brand or PR company that I am working with. I also record when different expectations must be met, etc. I am thinking the next time I get notebooks I will be purchasing larger ones for some of these categories, this is one of them. 5. 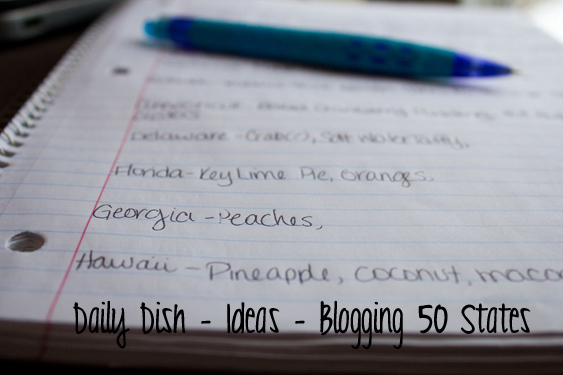 Daily Dish 2013 – At the beginning of the year I start a new fresh notebook for each of my blogs. Inside I write down information about post ideas, themes, changes, suggestions, etc. If I want to change something, I write that down. I usually change my sidebar up for holiday’s so that’s in there too. This is where the fun, creative part of blogging goes. Brain storming. Yes. 6. To Do Lists – Every afternoon/evening at the end of the day, I jot down notes for the following morning when I begin work. If a post goes up, the to-do list also contains reminders like: tweet, facebook, pin, etc. I allot about a half hour to an hour every morning for reading and commenting on others people’s posts. My to-do list even contains things like “grab a snack” or “drink a bottle of water” because I am notorious for getting into a project and forgetting these things. To save money I pick the notebooks up when school supplies are on sale – we usually buy dozens of extras so the kids have extras, but so does mom – you know, for her blogs. 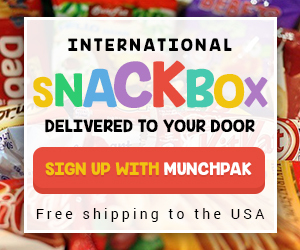 It’s sad, the kids even get them for me sometimes – especially if they see a cute one. Okay so maybe it’s not sad, maybe I’m just raising organized teenagers. Nah, probably not. I also use recycled storage for keeping them in the different places in the house. I have a notebook for each kid that is in a decorated cereal box that I cut to look like a magazine holder. We keep that near our kitchen desk. I have a few other notebooks in the kitchen, also in a decorated cereal box that contain frequently used recipes, menu plans, freezer cooking and other various things. I do use notebooks in most aspects of my life. As I mentioned above, I have one for meal planning, one for freezer cooking, most used recipes, one for each kid that contains vital info I need quickly, including dates of events, activities, etc. I start one at the beginning of each school year with class schedules, teacher names and emails, events, activities, passwords, locker combo’s, class information (senior year this year for two of them so there’s all this extra stuff we have to keep track of! ), etc. 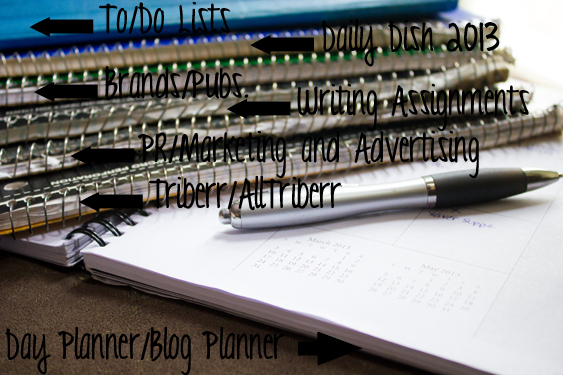 I think it is important to remember that in order to be organized in your blogging, you probably need to work on organizing your life. It makes life a bit simpler when everything has a method or system and a place to be stored. Aside from my Day Planner, I’ve also used a household notebook since 2003 which I basically designed myself and update very regularly, and I love it. (who wants a peek into that?) 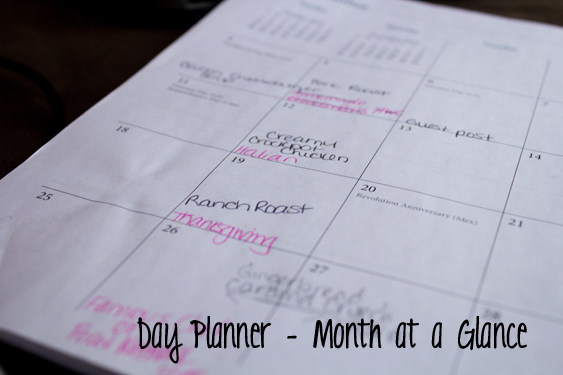 While my Day Planner is my blogging bible, my Household Notebook is my Life Bible. No joke. Everything I need is in that thing and I’d be so lost without it. We have a Menu Board and Bulletin board for different things. We have file cabinets, file boxes for each kid and I guess there are other methods around the house that I don’t think about everyday. I randomly chose a notebook and picked the Daily Dish 2013 book to show you. 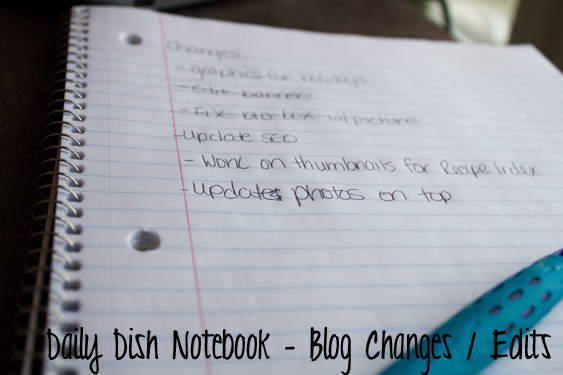 This page shows my list of changes that need to be done at some point on Daily Dish. The list will continue to grow and when I have completed something, I simple cross it off my list. This next page shows my Blogging the 50 States planning and ideas. I recorded the state and gave ideas for recipes and food that coincide with the state. I also have listed recipes I already have on the blog, so I could connect those to the final page. Month at a Glance view – I put down themes for the day if I’m participating in something. Once I decide on a recipe, I write that up on top of it. In November I needed some guests posts, so before I asked, I planned out when I would want those posts up based on other things going on that month. I love seeing everything quickly and easily. If I want details, I move to Week at a Glance. 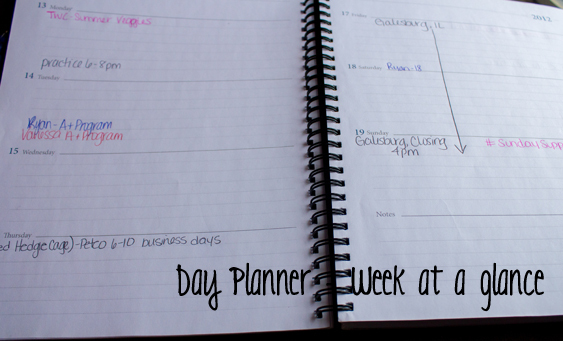 Week at a Glance – This is where I am probably a bit more organized … or rather detailed. I put everything in here. Lower left corner (the 16th of August) I ordered the new cage for my hedgehog – I recorded what the email said about estimated delivery so I’d know. If you flip the page, you’ll see what day it arrived. My children also had an event that weekend, so that’s in there (with the arrow) along with the Sunday post I did for #SundaySupper. I use a different color of ink for each of my kids. I have my own color too, that I use for regular activities I do and also for the blog, and then events that effect all of us are in black. So that’s a tiny (or rather long) look into my blog organization and planning. If you want to see anything more in depth, just let me know and I will explain it in more detail with better photos, etc. Do you have any tips to share on blog organization? It helps so much to have the organizational gene! I love that you use notebooks and actually write with a pen, as opposed to e-filing. Great ideas…. that I really do need! lol now you might understand when I tell you to hold on I have to find that notebook. My life is over-run by them but seriously they make me so much more organized. It’s nice to see someone else who appreciates the JOY in paper & pens — I’d be lost without my notebooks. I stash “Reporters Notebooks” (those long skinny ones) in my purse, vehicle, etc. for spur of the moment ideas (everything from song lyrics to grocery lists) and keep a small spiral bound notebook, pen, & flashlight by my bed. Obsessive? No. Forgetful. Yes. 🙂 Great article, thanks! This is great information, Nicole. Thanks for sharing! I don’t know how you do it. I had the hardest time switching to digital organization and used to keep a similar system to yours, only not so organized! I was forever searching for notebooks and trying to remember which notebook I put things in, or I would be in a meeting with the wrong notebook. I now keep things organized in a similar manner, but I primarily do it through Google calendars and task lists. Now, I have what I need wherever I go (unless I forget my phone). I’m so impressed you can be this organized. I love this post Nicole, I have secretly been wanting you to write one like this because I know you always have so much going on! As much as I use my iPad, I have to admit that I too LOVE pen and paper, and yesterday I was just saying that I needed to buy a new notebook. Thanks for the insight, because I have been planning on new ways to organize. LOVE this! 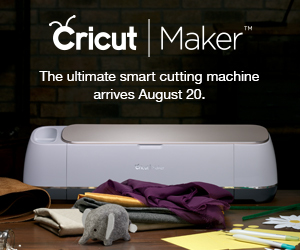 Having three kids myself, I kneeing before my computer in awe of you! I used to be organized – before kids, so having my life so out of control is killing me. I totally need to take the time and get my system in place. And I love “old school” pen and paper and calendar, too! LOL! You are amazing. I’ve always admired you for your incredible time management and organizational skills but after reading this, I am in complete awe. I don’t know how you find the time to do all of this, Nicole. I don’t even have the time to get organized! You’ve definitely inspired me to get my life in order. I also love using paper calendars, even after everyone else around me has gone electronic. There’s just something comforting about jotting something down on paper and getting to cross it off later. 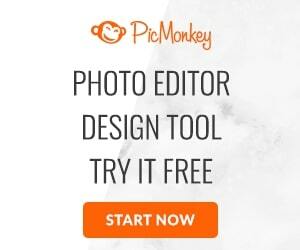 I will definitely implement these tips into my blogging. Thanks, Nicole! Thank you for sharing all this good info with us! I’m a notorious list maker but I find that my papers get lost and somehow notebooks don’t do it for me. So, I keep an open tab on my computer with a running to-do list. It’s got a section for personal items (pick up dry cleaning, call the vet) as well as blog ideas, meal plans and a running blog calendar so I remember what is due when. So far, so good but I’m always looking for new and better organization ideas.